arrived home in melbourne today to absolutely stunning weather, the view over the grampians as we flew in was breathtaking! … and in true form, we went straight to brunch! 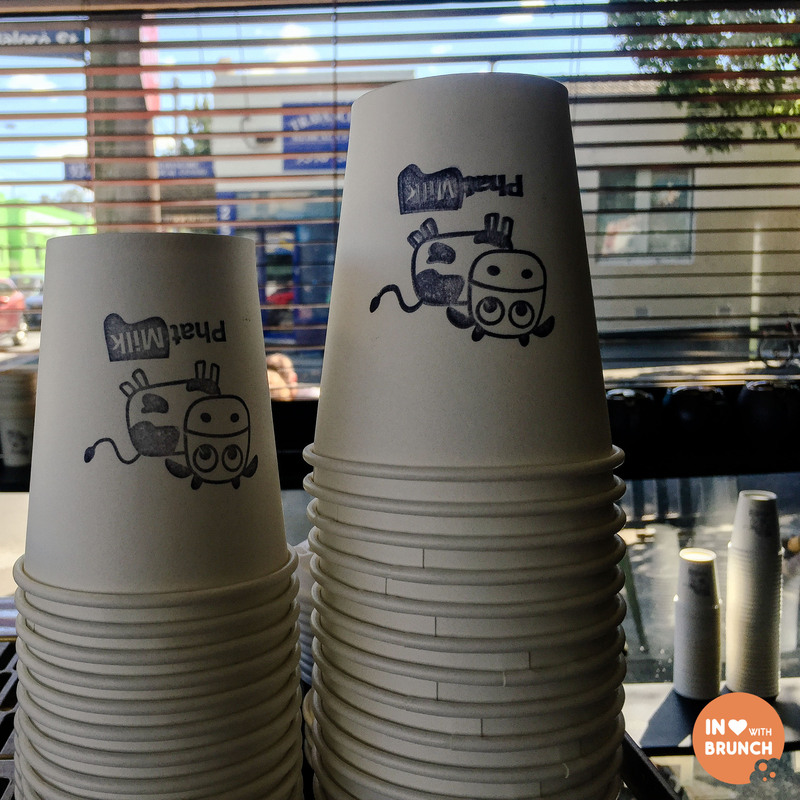 phat milk is conveniently located along mount alexander road in leafy flemington. it’s an area i don’t often frequent, but if this morning’s brunch is any indication of the food in the area i may be back a bit more regularly. 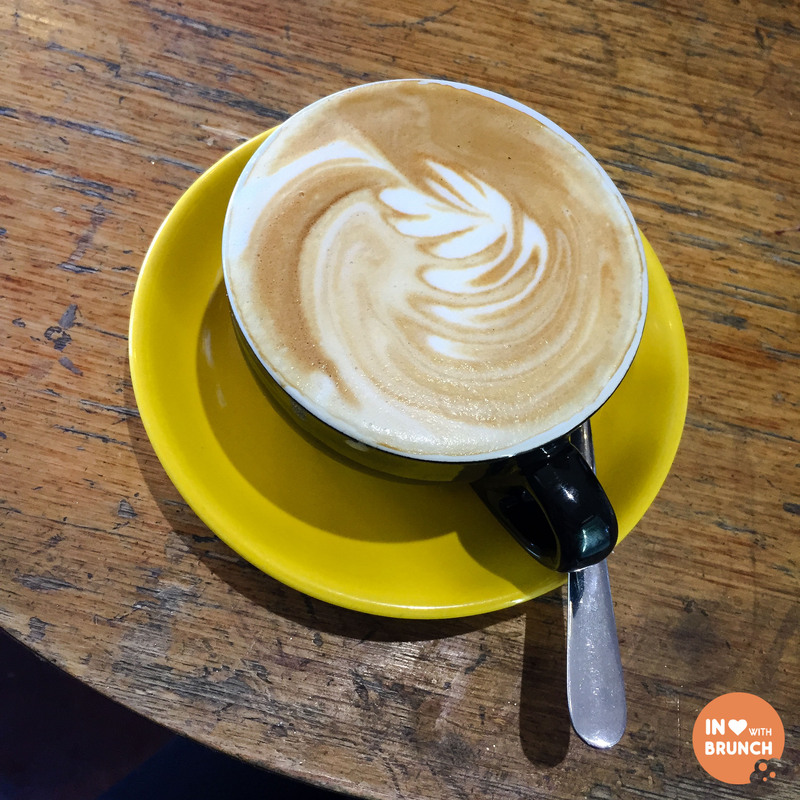 first off is the st ali coffee, which was beautiful. pride of place in the front room of the cafe is a huge antique wooden serving coffee table and just a few small tables, but the cafe has a large sunny courtyard out the back with extra seating. having been up since 5am for my flight home i was starving and in need of something more lunchy, so went with a more savoury option. 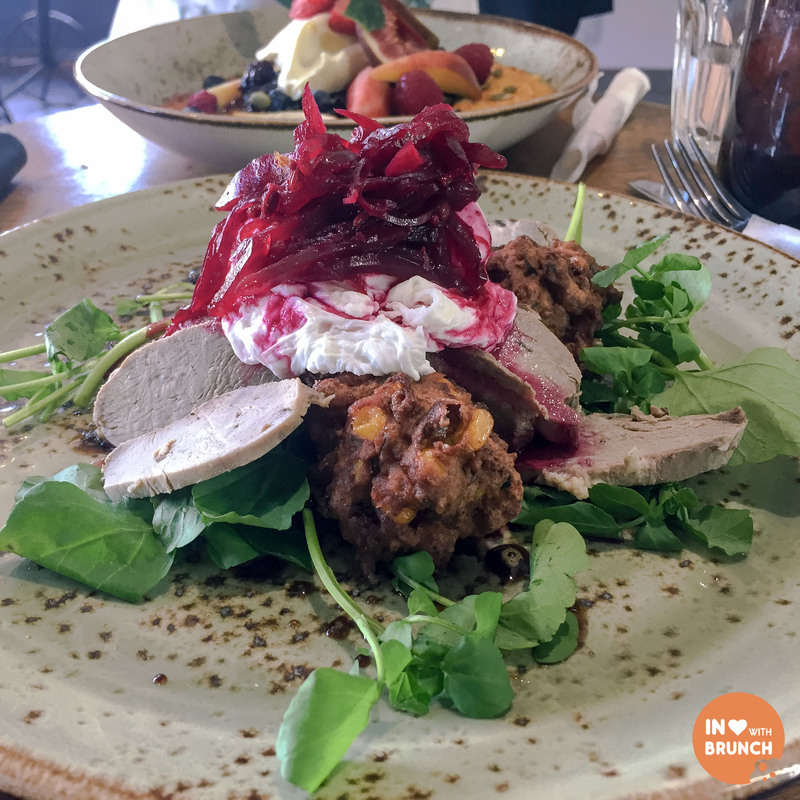 confit duck on zucchini + corn fritters with fresh watercress, poached egg + beetroot relish and drizzled pomegranate molasses. i’m always a bit anxious when ordering fritters (nothing worse than powdery under-cooked fritters), but these were amazing! crispy, crunchy + plenty of corn! yum! the beetroot relish + pomegranate molasses was sweet + perfectly complimented the duck. double yum! 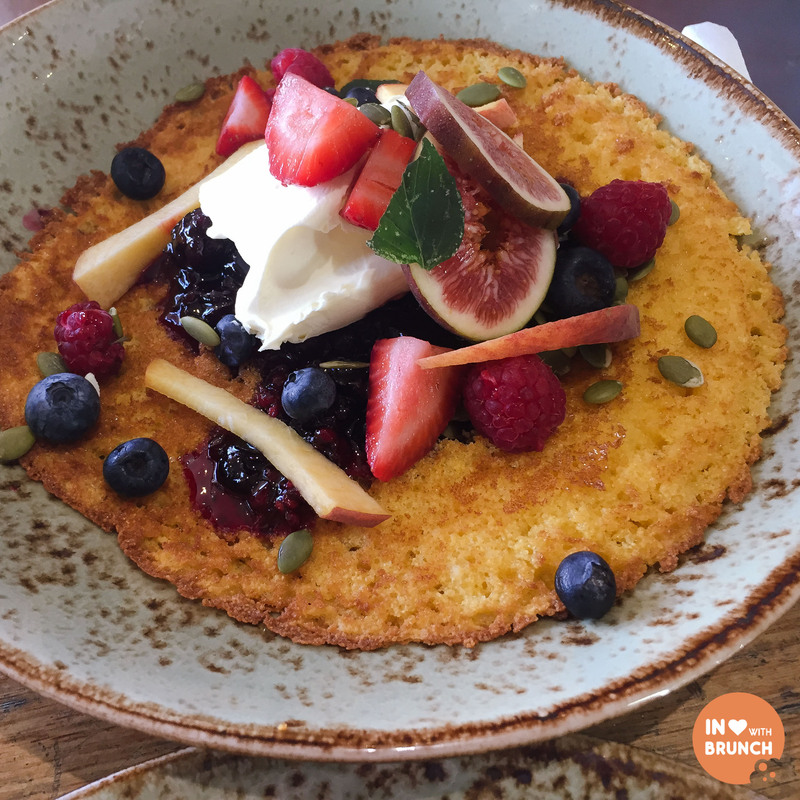 polenta hotcake with fresh seasonal fruits + berries, whipped mascarpone, and a house made mixed berry coulis. first off, i loved the consistency of the polenta – italian origins, cornmeal boiled like porridge + then baked, fried or grilled – hotcake! it was light + less sugary than a standard hotcake. secondly, the fresh fruit on top – figs, finely sliced fresh peach – were juicy + tasty. the berry coulis contained blueberries, strawberries, raspberries, blackberries (a possibly a few other hidden varieties) – delicious! and all wonderfully pulled together by a creamy mascarpone… this dish is drool worthy + a creative variation on the other hotcakes found on numerous melbourne cafes. verdict: creative, unique + delicious! that cup is enough to win me over 😉 so cute! 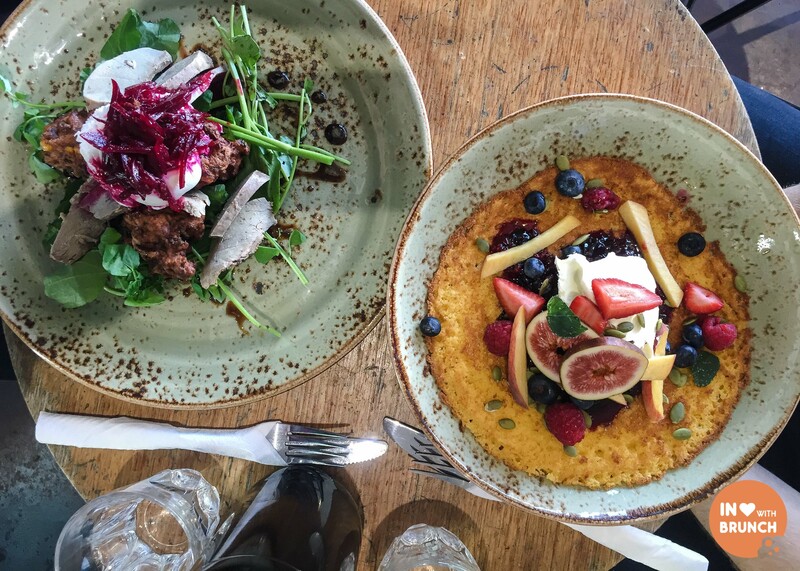 I’m not normally a hot cake fan but this polenta version looks really good! it was! really delicious + really light consistency!